It’s more than likely that you work on a three bin system at home – general waste, green waste and recyclables – so you know that rubbish needs to be separated. We’ve talked about what constitutes green waste and how to dispose of dirt and rocks but today, we want to fill you in a bit more on what do you with garden waste. Garden waste removal can seem straightforward if you think that it just means plants and organic waste. In reality though, it can include everything from plant-based, dirt, soil, rocks and concrete right through to parts of outdoors features if you’re doing a full overhaul of your garden. 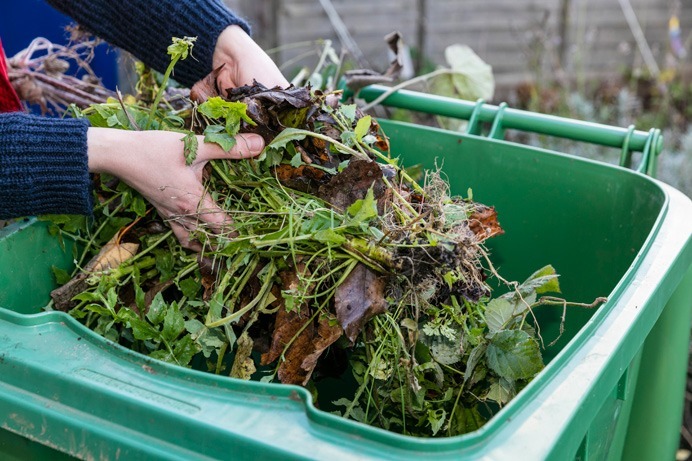 Read on to learn more about where certain types of garden waste fit in and the best way to dispose of it. How do I know which bin to put garden waste into? If you’re doing a full garden re-haul that includes larger amount of green waste as well as taking down parts of your backyard set up, let us break it down for you into bins you should be looking into. If you’re simply mowing the lawn, doing a little weed pulling and tree trimming, you can probably just put that in your own council provided Green Waste bin. The hardest part about that is knowing which bin week it is. A great way to repurpose piles of green waste is to start a compost pile. Food and garden waste are great sources of nutrients for the rest of your garden so don’t be so quick in tossing out organic waste. Turn those grass clippings into mulch and help grow the rest of the your new garden. Don’t forget to recycle garden waste where you can as well! A general waste skip bin is also a good option for garden waste if you’re looking to throw out more household waste like timber and furniture along with plants and organic materials. However, if you’re planning on exercising that green thumb and getting rid of all your current plant-based garden waste then why not hire one of our Green Waste skips? We can dispose of grass, leaves, branches, wood chips, bark and other organic waste materials so you don’t have to worry about anything. Although, remember that if you hire a green waste bin specifically, you can’t fill it with any other materials such as bricks and concrete, soil and food waste – just to name a few. It’s a common mistake when it comes to skip bin hire and it stops us from being able to dispose of it the right way. Installing a pool? Building a feature fountain? Adding a extension to your house? All these things will leave you with a lot of excess dirt, soil and rocks. While in some cases, you can repurpose that soil elsewhere, a large pile of dirt is actually pretty hard to redistribute and get rid of. So where do you go from there? When it comes to large amounts of waste soil, it’s best to leave it to the professionals. Hauling around a trailer load of soil can end in disaster and a lot of mess so a specialised collection service like our Dirt & Disposal service can help you out. It’s just important to ensure that if you’re hiring a skip bin specifically for sand, dirt and soil, you can’t contaminate it with other general waste, bricks and concrete and it goes without saying; electronic waste. You can’t even put grass in it. If you do, the soil is then considered contaminated and won’t be accepted by disposal facilities that we specifically transport this type of waste to. It can end up being harder both for our drivers as well as for you. If you’re doing a full Marie Kondo on your house and garden, and you’re looking to just start from scratch then you definitely need to look into professional rubbish removal. Removing old parts of garden features, throwing out excess concrete and rocks are all things that need specific removal services. Similar to dirt and soil above, bricks, rocks and concrete can only be disposed of at certain sites that are designed to house and process them. So adding this kind of rubbish to your general waste or lumping it in with the rest of your garden waste is one way to guarantee that your waste won’t be picked up. It’s best to opt for a Brick and Concrete Waste Disposal service where you will be able to get rid of bricks, pavers, concrete, ceramic floor and wall tiles and roof tiles. We know that this kind of waste can look terrible lying around your garden so why not get a skip bin and let us remove it for you in a timely manner? Again, make sure that it’s free of contaminants such as soil, grass and general rubbish. We’ve talked about this waste management issue in-depth before but thought that it’d be a timely reminder considering we’re also talking about disposing large amounts of garden waste. If you’re doing a garden clean out and you’re thinking that someone might love the outdoor dining set or concrete fountain that you no longer want, think twice before you leave it on your sidewalk. If it’s not picked up, you’re technically illegally dumping your hard rubbish onto public land. The same applies for just leaving piles of soil, dirt and bricks lying around. To prevent any fines that you might get from illegally dumping waste, you can wait for your local council to announce their hard waste collections, which happens at least once or twice a year. 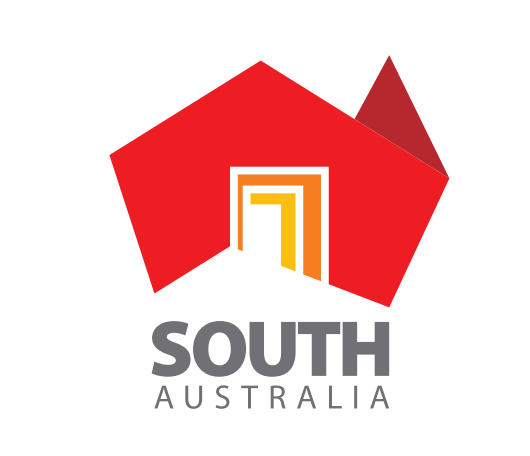 Check your local council website out or give them a call to check when it’s your turn. Of course, you can also hire a skip bin, which will include delivery and pick of the bin and disposal of the waste as well. Easy peasy! If you’re still unsure about where your particular blend of garden waste fits into the waste disposal landscape, don’t hesitate to contact our friendly Just Skips team to find out which waste removal option is best for your needs.